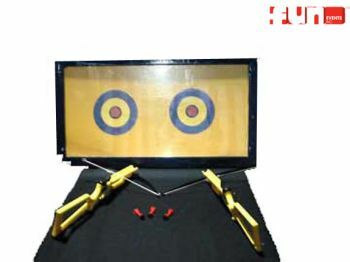 Your guest shoots a suction tipped dart from a crossbow toward the bull's-eye target on the game board. Hit the target and win a prize. Hit the bull's-eye and win a special prize. (older kids and adults) A fun game rental party idea for any special event, school carnival, birthday party, church festival or company picnic.